We were called to Dorly Close, at approximately 6.30pm on Saturday (2 March) following reports that four men had broken into a truck and stole tools from a vehicle. The victim (a woman in her 60s), approached the suspects to try and stop them from stealing the tools, but they made threats towards her before driving off at speed in a Range Rover. Officers carrying out checks of the vehicle then found that the Range Rover they were driving had recently been stolen. Officers located the Range Rover on Staines Road West and attempted to stop the vehicle, which failed to stop and a pursuit was authorised. 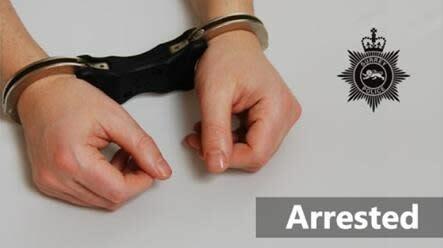 Officers managed to box the vehicle in (using a manoeuvre known as Tactical Pursuit and Containment TPAC), at approximately 7pm near Beaconsfield and the suspects were arrested for multiple offences including robbery, theft from a motor vehicle, dangerous driving, threats to kill, going equipped to steal, and possession of a bladed article. All suspects are currently in custody while enquiries remain ongoing. Detective Sergeant Jon Brushneen said: “The public may have seen a number of officers and police vehicles in the Staines area yesterday while we were trying to stop the four men. “During the pursuit the men threw items out of the window, which we believe were items they had stolen. This could have been extremely dangerous especially with the high speeds they were driving at, thankfully no one was injured. “I hope the public are reassured that we have made these arrests and I would urge the public to ensure that they follow some simple steps to prevent this from happening to their vehicle, please visit our website for further advice. Thankfully the victim saw what was happening to their vehicle and managed to intercept the suspects. If you have any information on this incident, or you have any dashcam footage or CCTV, please contact Surrey Police on 101 (999 in an emergency) or http://surrey.police.uk/TellUsMore , quoting reference PR/45190022676.